(Leo Sun @ MyWatchList) On April 8, Microsoft (NASDAQ: MSFT ) will cease technical support of Windows XP, the 12-year-old operating system that is still the second most used operating system in the world after Windows 7. While users can continue using XP, Microsoft will no longer provide XP users with automatic updates or technical assistance. However, Windows Security Essentials, its anti-malware suite, will be supported until July 2015. Windows XP still has a 29.2% share of the world's operating systems, compared to a 47.5% share for Windows 7 and a combined 10.6% combined share for Windows 8 and Windows 8.1. The longevity of Windows XP, often considered Microsoft's best operating system, has been a blessing and a curse for Microsoft. XP's dominance over the past decade has kept competitors such as Apple's (NASDAQ: AAPL ) Mac OS X (3.2% share) and various distributions of Linux (1.6%) at bay, but it has also throttled sales of Windows Vista, 7, 8, and 8.1. That bottleneck, coupled with the steep decline in PC sales that started after Apple's launch of the iPad in 2010, caused Microsoft's Windows cash cow to start running dry. As Microsoft's new CEO Satya Nadella takes over the top spot from Steve Ballmer, let's take a closer look at three lessons consumers and tech investors can learn from the end of Windows XP. Windows XP was the last huge, innovative step that Microsoft took in operating systems. Prior to Windows 95, the Windows GUI (graphical user interface) had simply "covered up" the traditional MS-DOS command prompt. In other words, clicking the icons and menus were simply visual shortcuts to prompt commands. Windows 95 was a huge step forward for two major reasons -- the introduction of the "Start" button, which streamlined the clumsy menu system of the Windows 3.x series of operating systems, and the introduction of "Plug and Play" support. "Plug and Play" meant that most hardware didn't have to be configured through arcane command prompt menus and installation disks -- the system could automatically detect and install many more devices than before. Windows notably evolved in two distinct paths -- the consumer series (Windows 95, 98) and the enterprise series (Windows NT, Windows 2000). 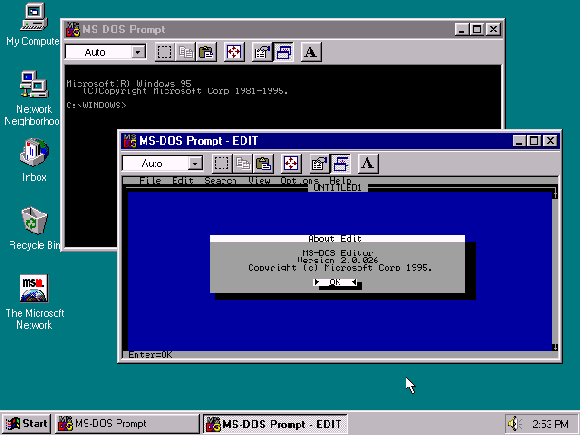 Windows 95 and 98 were based on DOS, whereas NT and 2000 were built on a newer, secure system that wasn't dependent on the foundations of DOS. Therefore, Windows NT and 2000 were considered more secure options than their consumer counterparts. Windows XP was the first system to unify both sides of the universe by completely eliminating the DOS foundations of the consumer series. It also improved support for USB devices, added enhanced security features, and added DirectX to simplify the setup of 3D games and multimedia. These features, especially after being upgraded with three service packs, made Windows XP an ideal operating system that was simply "good enough" for most users. In addition, it was still compatible with most modern software, and it was gracefully light on resources -- Windows XP can run on a PC with a 233-MHz processor with a mere 64MB or RAM and 1.5GB of free space on the hard drive. By comparison, Windows 8.1 requires a 1GHz processor, 1GB or RAM, and 16GB to 20GB of hard drive space. Two of the most common complaints about Windows XP were that it wasn't as secure or aesthetically pleasing as Apple's Mac OS. Microsoft's response to both complaints was the ill-advised launch of Windows Vista in 2006. Vista's aggressive control of the system frustrated users with constant confirmation boxes whenever they wanted to install programs or change system settings. In addition, many basic settings that worked flawlessly in Windows XP, such as file sharing, no longer functioned in Vista without major tweaks. Meanwhile, the graphical enhancements to the system, while easy on the eyes, wasted memory and drained the battery on laptops. 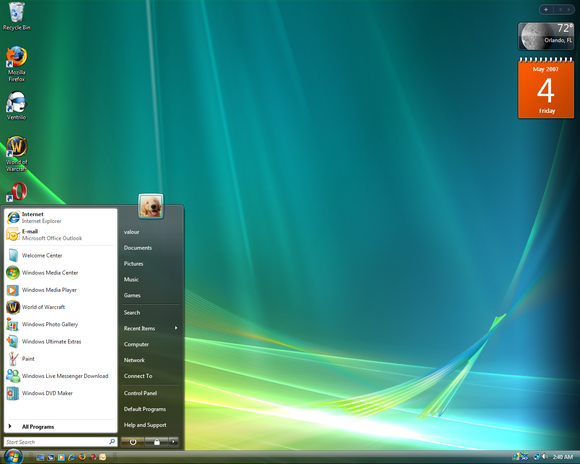 As a result, poor reviews throttled Windows Vista's growth and forced Microsoft to release Windows 7, a slimmed down version of Vista, only three years later in 2009. By comparison, the gap between XP and Vista was five years. Today, Vista has become a cautionary footnote, with a 3.3% market share in operating systems. Unfortunately, Vista's failure simply reinforced the belief that XP was "good enough" for the everyday consumer. 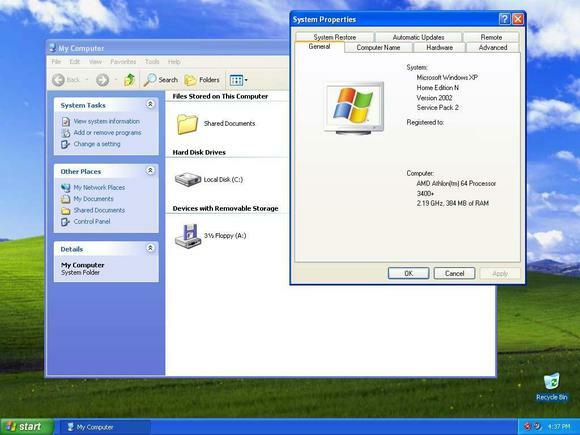 Although Windows XP is usually identified as a desktop or laptop operating system, it is also widely used in other machines. 95% of ATMs across the United States reportedly run on Windows XP. Upgrading a single ATM to Windows 7 can cost hundreds to thousands of dollars, and U.S. banks have been reluctant to upgrade their 425,000 ATMs across the country. Last year, a group of hackers in Europe exploited a security vulnerability in Windows XP ATMs with an infected flash drive to steal millions of Euros. That attack highlighted the fact that banks, unlike everyday users, must upgrade their ATMs by April 8 or risk being hit by new hacks. Many point-of-sale (POS) devices in America also run the Windows XP version of Windows Embedded, a compact version of XP that is used in set-top boxes and vehicle computers. POS devices at Target (NYSE: TGT ) and Neiman Marcus were recently hit hard by malware attacks, highlighting the need for retailers to start upgrading their systems as well. Target reported 40 million payment card records and 70 million other records were compromised between Nov. 27 and Dec. 15, and Neiman Marcus stated that 1.1 million cards were compromised between July and October 2013. Last but not least, the U.S. Department of Health, which has XP installed on a large number of its machines, is reportedly negotiating with Microsoft for an extension beyond the April 8 deadline. These essential upgrades in banking, retail, and the government could substantially boost Microsoft's slumping Windows OEM revenue, which fell 3% year-over-year last quarter. Although Microsoft could get a boost from Windows upgrades in the consumer, banking, retail, and government sectors in the coming year, it still doesn't solve its three biggest problems -- the slow rate of adoption of Windows 8, which is regarded as a clumsy mishmash of desktop and tablet systems, fierce competition from free operating systems like Google's (NASDAQ: GOOG ) Chrome OS and Linux, and a global slowdown in PC sales. What's your take on the end of Windows XP? Let me know in the comments section below!